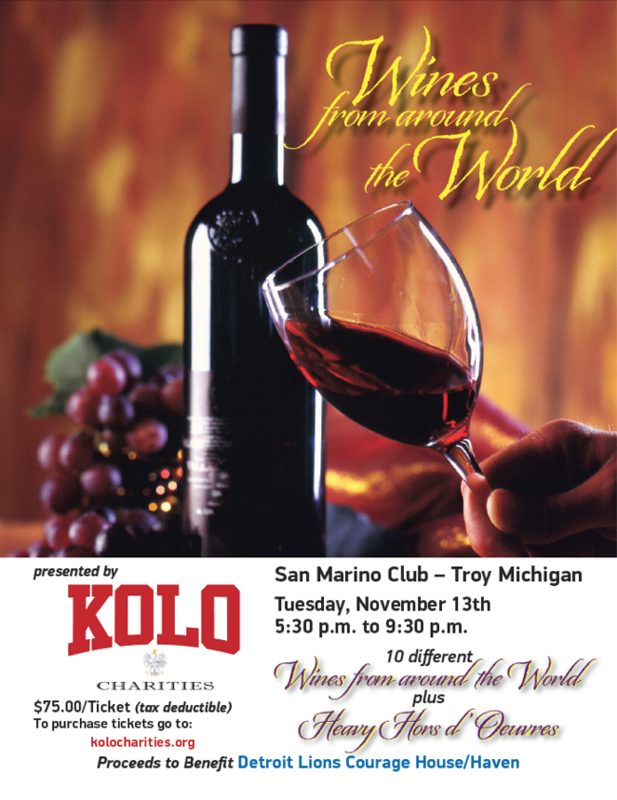 KOLO Charities – "We make a living by what we get. We make a life by what we give." Since 1991, KOLO Charities has contributed nearly $1,000,000 to various charities. The two principle organizations supported are the Leader Dog School for the Blind in Rochester, Michigan, to increase mobility and independence for the sightless, and the Detroit Lions Courage House which directly provides funds for the Child Abuse Prevention and Treatment Program of H.A.V.E.N. in Oakland County. Due to the dedication of our all-volunteer organization, we do not incur any administrative expenses. You can help by attending an event or becoming a sponsor. Sign Up for News and Event Announcements! Subscribe to our email list for the latest news and event announcements. Visit the subscribe page to join our list. Come join the fun and help a worthy cause at the same time.